If you have read any of my other posts you will know how I feel strongly that looking our best can help us to feel as good as we can. This is particularly true for us older women over 60 that have noticed things are not as firm as they once used to be. Some sigh and say this is an unfortunate part of life and we deal with it as best we can. 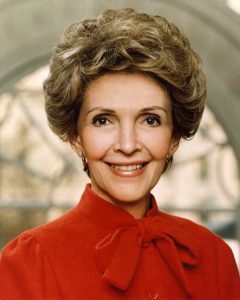 I for one do not intend to sit back and let myself go – on the contrary I do whatever I can to look my best. Now this doesn’t have to mean surgery; so far I have not gone down that path and at this point in time I don’t intend to. I think that by using the right makeup and skin care products we can make a huge difference. When it comes to makeup foundation is pretty important, and choosing a good foundation that suits our aging skin can make a really big difference. So in this post I want to share my experience and knowledge of what I think are the best foundations for women over 60, and below I will go through my top picks of powder, cream and liquid foundations. In my opinion if you have these 3 products you will be prepared for any situation. So as we know, foundation is something you need to get right. If you are an older women like me, you’ve been around long enough to know this and you will also know that getting the right color for your own skin tone is one of the most important things. There’s nothing worse than seeing different colors where someone’s face turns into their ears and neck, like they’re wearing a mask! Also important is making sure that the product you use can give you the coverage you need. You may be lucky enough to only need a light coverage and in this case you can maybe get away with a powder, but for most of us ladies over 60 we need something a bit more heavy duty that can give us the coverage we need. I would say that my skin is best described as common. In that respect I guess I am lucky that my skin is not overly dry or oily. If it wasn’t for the freckles and fine lines (who am I kidding, they’re wrinkles!) it would be perfect. 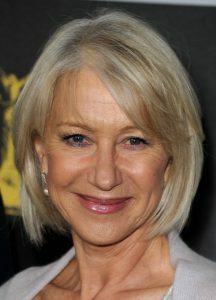 Anyway the thoughts I’m going to share with you below on what I think are the best foundations for women over 60 don’t just apply to my skin type, as a lot of products are suitable for a range of skin types. I have a good girlfriend with much dryer skin than me who uses what is my favorite, the Shiseido liquid foundation, and she loves it just as much as me. Anyway I will write what I think and hopefully you can get something out of my ramblings. It is not very often that I ever really get the chance to use a powder foundation but occasionally, on a really good day when my skin is feeling great and I want a really minimal, no makeup kind of look I will bring out the brush. Mind you, there’ll usually be plenty of concealer underneath just to make sure everything is to my liking. 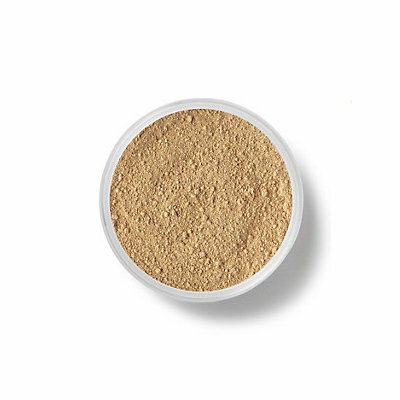 So for this I think that the Bare Minerals powder foundation from Bare Escentuals is one of, if not the best powder foundation I have used. It is a powder that you apply with a brush but as they say in the advertising, as it goes on it really does almost feel like a cream. If you apply it correctly it doesn’t get into fine lines but if your wrinkles are deeper then you will probably not like it. It has SPF 15 for sun protection but if you put it on thick enough for that to do anything then you’re asking for trouble. Something that is most likely going to be more suitable for older skin than a powder is a cream foundation. When I say cream foundation I am also talking about stick foundations. Generally speaking I think these are best used for providing medium coverage, you want to be careful not to cake it on as it doesn’t look good. I don’t really like stick foundations as I find it hard not to get it into my lines and wrinkles as I apply it. My favorite cream foundation is the MISSHA M Perfect Cover BB Cream. Even though it is marketed as a BB cream I think it is as good or better than any stand alone cream foundation. You also get all the other benefits of a BB cream too which I think makes it stand out. I absolutely love the packaging and the applicator too. Try it yourself, you’ll see what I mean! Out of powder, cream and liquid foundations I personally feel most comfortable using liquid. For me I find I can get the best finish and just the right amount of coverage out of a liquid, more so than cream or powder. I think they all have their place in a make up bag but my go-to is definitely liquid. 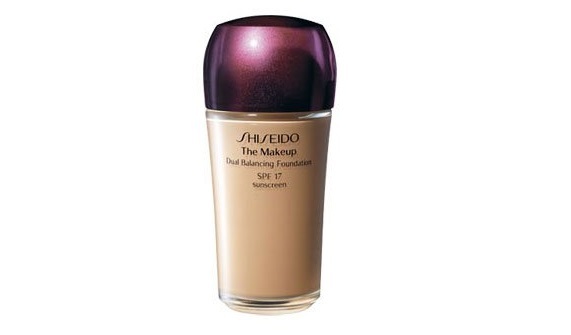 I think the best liquid foundation for my older skin is ‘The Makeup’ dual balancing foundation by Shiseido. I love Shiseido products, they would have to be the leading brand when it comes to professional quality cosmetics that are also gentle on the skin. They have been around forever and I have not been able to find any foundations that I like more. It is not cheap but in my opinion totally worth every cent. Congratulations for reading all of my post about what I think are the best foundations for women over 60. I hope you liked it! If you have anything to add I would love to hear from you either through my Facebook, Twitter or Google + pages which you can also get to by clicking the icons below, or in the comments section below that. Thanks again for reading and have a great day! This is some great information for older women to take and apply to their own lives to improve their beauty. This article has some great insights and will hopefully help many women with their beauty needs. I think this foundation will be very beneficial for the people who use it and they will see the results. I’ve been looking for a gift for my nanny 71 year-old birthday, and you just gave me very good idea! There are not much beauty products for elderly people, this why your informations are amazing! I think the liquide foundation is good, cuz my nanny’s skin is very dry, hope it’s not gonna be cakey. Thanks Shaile and best of luck!